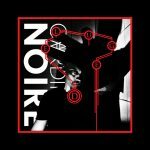 Fans of dark, atmospheric guitar music should add the 24 of March 2018 in their agenda as Golden Apes will host the 9th edition of the Dark Spring Festival at the Berlin-based Bi Nuu Club. 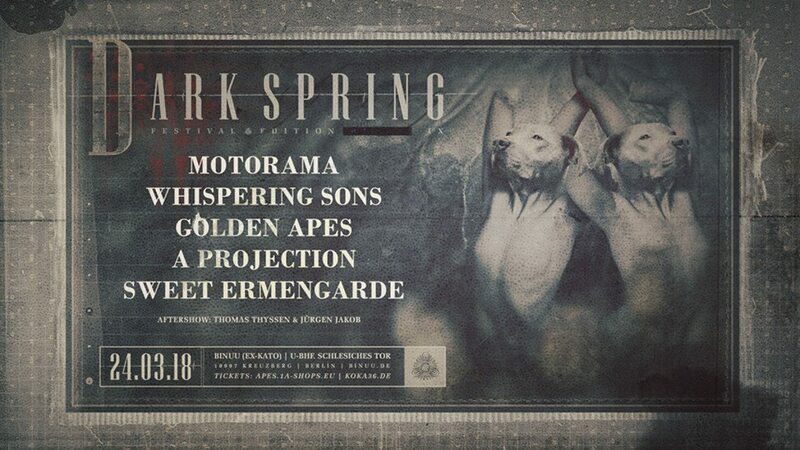 Playing live will be Motorama (RUS), Whispering Sons (BE), Golden Apes (DE), A Projection (SWE) and Sweet Ermengarde (DE). For those of you which don’t know Motorama, the band is by far the best-known representatives of the Russian Post Punk/New Wave scene. The festival will continue in the late hours with DJs Thomas Thyssen (Pagan Love Songs) and Jürgen Jakob (Cold Beat Berlin) with a mix of goth, wave, post-punk and indie-classics. Tickets are available via www.apes.1a-shops.eu and www.koka36.de .